Blue oxford fabric of rougher quality. 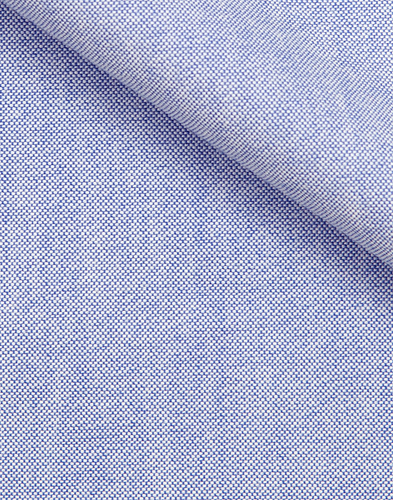 The fabric's weave of medium blue weft yarn which in combination with the rough white warp yarn creates the fabric's characteristic texture and relaxed feel. 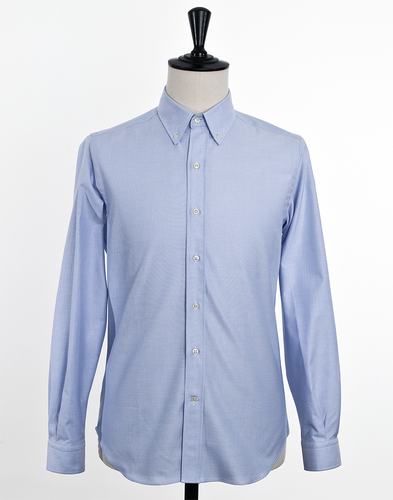 The blue oxford is synonymous with the button down collar and is a staple in any discerning wardrobe. 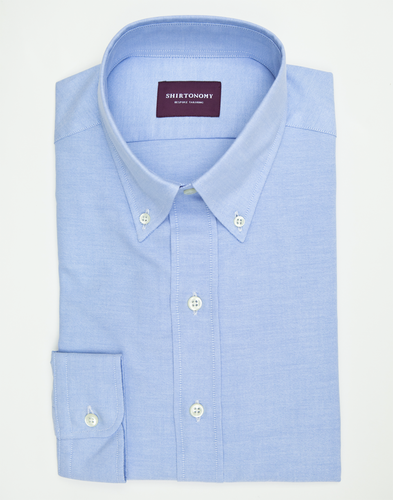 Another alternative is to combine it with the spread collar to create a more formal impression with a rustic and relaxed twist. 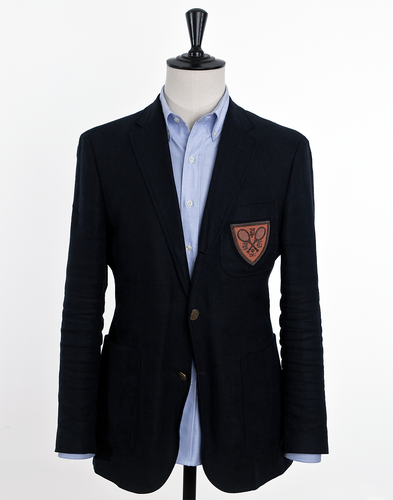 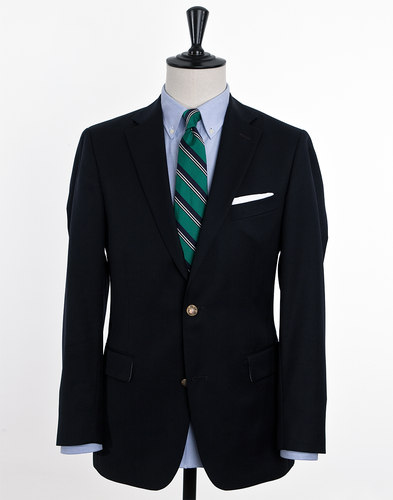 The fabric is woven in Great Britain and over time develops an increasingly comfortable feel as you wear and wash it.